Sea-rocket, also known as Seaside Mustard and caquillier in French, is found on sandy or gravelly beaches along the coast. Cakile is a sprawling plant with succulent, branched stems. The leaves are thick and fleshy, with blunt-toothed margins. The four-petalled flowers are small, purple and located at the tip of the stem. 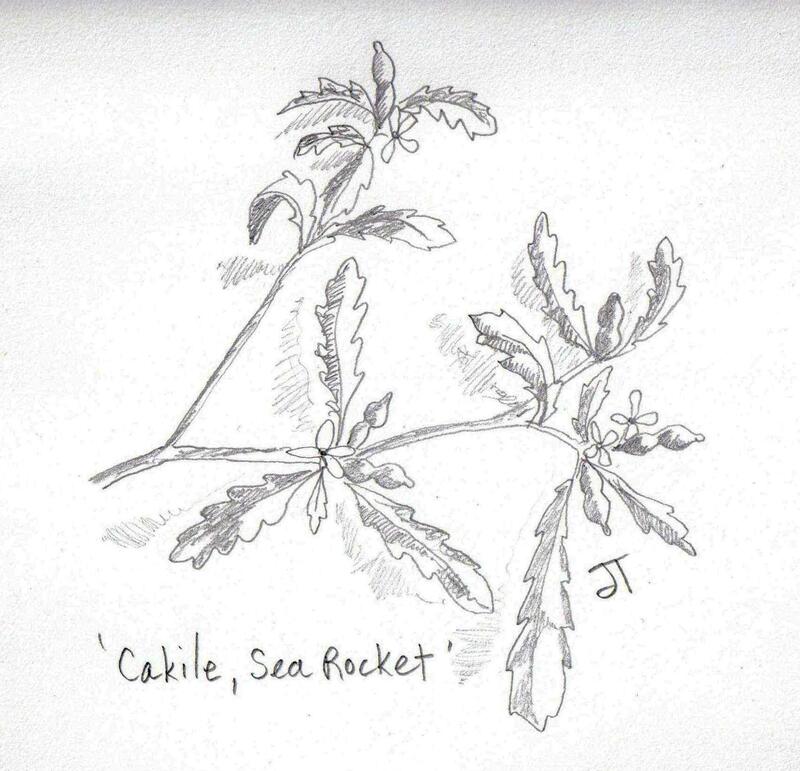 The name Sea-rocket comes from the distinctive shape of the seed pods. These have a narrow base and a pear-shaped tip, like a rocket. Cakile is an old Arabic name and edentula means ‘without teeth’. 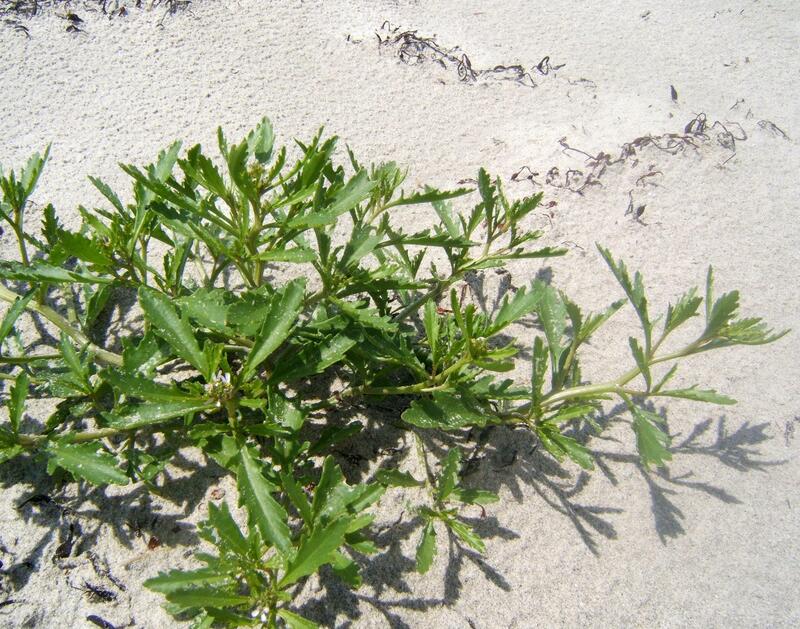 Sea-rocket is edible. It has a hot, pungent taste, similar to radish. The stems, leaves and pods can be added to salads or boiled for 5 to 10 minutes to give a milder taste. What a beautiful beach and poem! I haven’t gotten to the ocean this summer–and this post makes me realize how much I love the seashore on a hot summer day. Wonderful poem, Jane. 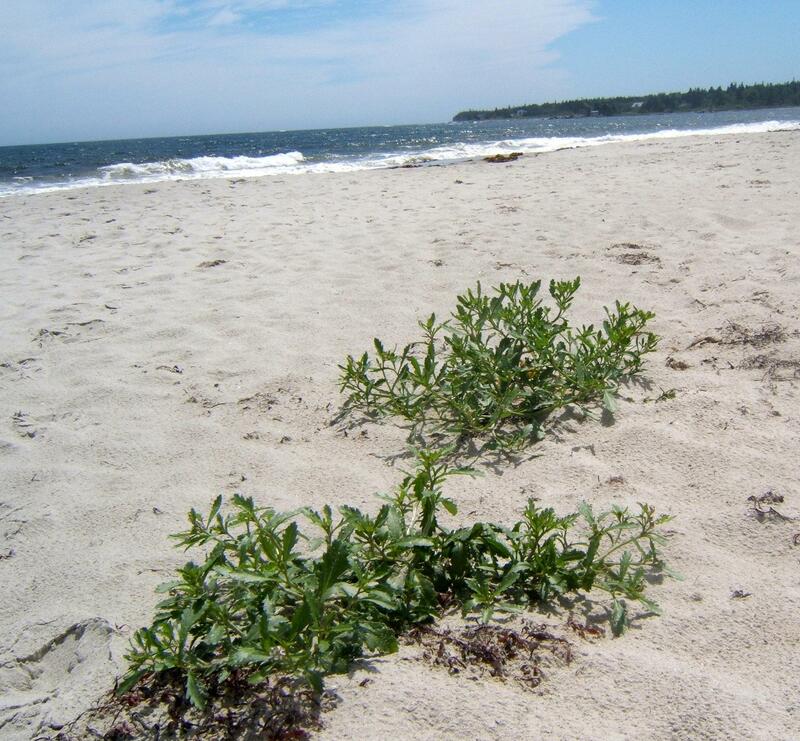 You captured a beach experience beautifully, with or without the sea rocket! Many thanks, Jane. I have a poet that sent out a challenge for writing about the sea …she puts them together in a wonderful publication when she collects them all…the publishes it electronically for anyone to download. (YAY WORDS! published by Aubrie Cox)… and I had no idea what to write I’ve been so busy with other things. Your posts have given me a treasure chest of things to write about the sea…. many thanks. This plant looks delicisous!